We are often told that Alfred Hitchcock - the 'Master of Suspense' - is one of the most important and significant directors that ever lived. But why is that the case, and what does it mean? To find out, we're taking a look back at some of Hitchcock's most influential films, and highlighting where we can see his legacy at work. The Lodger, Hitchcock's silent film from 1927, about the hunt for a Jack the Ripper-style serial killer on the foggy streets of London, is now regarded as the first characteristically 'Hitchcock' film. Its focus on an innocent man on the run and interest in human sexuality set the tone for numerous films later in his career. It was heavily influenced by the tropes of German expressionism, in films such as Nosferatu and The Cabinet of Dr Caligari. Hitchcock also influenced the cinematic lexicon, popularising the term 'MacGuffin' in The 39 Steps. Loosely speaking, a MacGuffin is the object (or device, or concept) around which the plot revolves, driving the narrative forward and being of crucial importance to the protagonists, although the audience themselves may have little or no investment in it. More recent examples of MacGuffins are the One Ring in the Lord of the Rings series; the heart of the ocean necklace in Titanic; and the rabbit's foot in Mission: Impossible 3. It is now perhaps most closely associated with George Lucas, Steven Spielberg, and the Indiana Jones series, with the lost ark of the Covenant in Raiders of the Lost Ark, or the Holy Grail in Indiana Jones and the Last Crusade. Hitchcock also popularised the use of the 'dolly zoom' in his thriller Vertigo, which Spielberg again paid tribute to with his own films in Jaws and E.T.. A dolly zoom is a technique whereby the camera moves closer or further from the subject, while the zoom is simultaneously adjusted to keep the subject the same size in the frame. The subject then appears stationary while the background size changes. In Vertigo, Hitchcock used the effect to look down the tower shaft to emphasise both its height and Scottie's vertical disorientation. Having made his name in Britain, Hitchcock was eventually tempted to Hollywood in 1940. His first film was an adaptation of Daphne Du Maurier's psychological thriller Rebecca, which went on to win the Oscar® for Best Picture. The film retains all of its awesome power and horror nearly eighty years on, and remains one of the cinema's seminal examples of the gothic genre. Rope was one of the first films to be made with the illusion of having been filmed over one long continuous take. The technique was subsequently used by films such as Birdman, Russian Ark and Victoria, and technology has reached a point where some of these films can now deploy the technique for real. At the time it was made, Rope was also hugely controversial for the homosexual subtext between the two main characters (based on murderous real-life couple Leopold and Loeb), a subject that was deemed inappropriate for audiences of the time by censors. Arguably Hitchcock's most influential film is Psycho. Released under a cloud of secrecy in 1960, it shocked audiences by brutally killing off its main character early in the film. Hitchcock famously insisted that cinemas refuse to let in any latecomers, a controversial move at the time, but one that helped turn Psycho into an early blockbuster phenomenon, with lines of people queuing up to find out about the mysterious story. Psycho's influence can also be seen in its use of music (its legendary soundtrack is instantly evocative to people, whether or not they've seen the film), the killing off of innocents, as well as introducing a villain in Norman Bates that audiences couldn't help but feel a little bit sorry for. 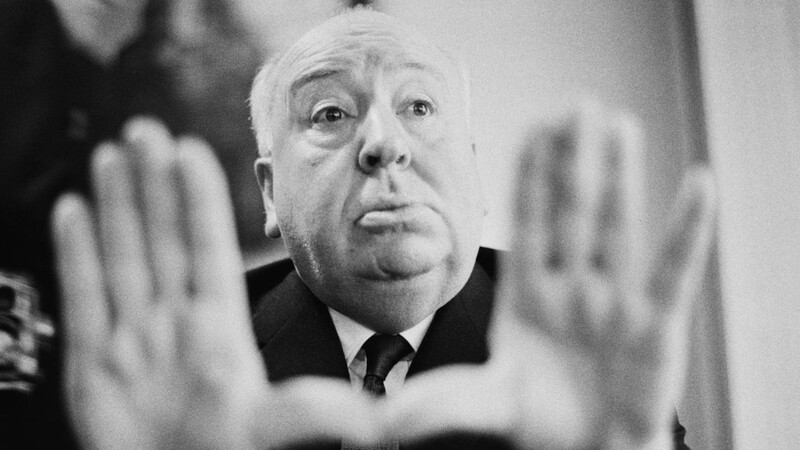 The 2012 film Hitchcock looked at the story behind the making of Psycho in a lot more detail, presenting a fascinating portrait of the man behind the camera and outlining the influence his wife Alma had on the creative process. Surveillance is one of the pre-occupying concerns of the modern era, particularly in the wake of events surrounding Julian Assange and Edward Snowden. Yet again, Hitchcock was onto this theme earlier than most, and his classic, claustrophobic thriller Rear Window is a brilliant study of voyeurism and morality, that now reminds us of modern social media and reality television. The theme of surveillance is one that dominates many classic titles, including Minority Report, The Conversation, The Bourne Ultimatum and David Fincher's Panic Room, which is particularly influenced by Rear Window's legendary James Stewart/Grace Kelly double-header. North by Northwest is the classic story of a man mistakenly identified as a spy and pursued across the United States, and contains some of cinema's most seminal sequences, including the iconic crop-dusting scene and the famous conclusion on Mount Rushmore. This early action film has also been cited as a prototype for what became the James Bond franchise, due to its suave, womanising leading man; its use of multiple exotic locations; a sinister but charismatic villain; and its depiction of the world of secret agents as one of style and elegance. The works of American novelist Patricia Highsmith have become a staple of cinema in recent decades, resulting in brilliant, evocative and stylish thrillers such as The Talented Mr Ripley, Plein Soleil and The Two Faces of January, as well as romantic drama Carol. Hitchcock was the first to adapt her work, with psychological film noir Strangers On A Train, which contains many standard Hitchcockian tropes (including tennis, the meeting of two strangers on a journey, and a charming psychopath at its heart), and highlights the many parallels that can be found between his own work and that of Highsmith's. Ever the pioneer, Hitchcock was also one of the first directors to ever experiment with 3D in his films, in mystery thriller Dial M For Murder. However, audiences in the 1950s had little interest in the new technology and it quickly faded away. Hollywood attempted to launch it on a couple more occasions, before the gimmick really connected in 2009 with Avatar (itself Hitchcockian with the use of 'unobtainium' as a MacGuffin). Although many of his films now routinely appear in audience and critic polls of the greatest films of all time, for many years Hitchcock was dismissed as being nothing more than a populist entertainer. It was only when a group of French critics (and later filmmakers themselves) including Francois Truffaut developed what became known as the auteur theory, in which the director of a film was recognised in the same way as an author or painter would be in literature and art, that Hitchcock's reputation began to be re-evaluated. It paved the way for other directors of popular entertainment to be taken seriously, rightly refusing to dismiss the notion that just because a film is popular doesn't mean it is without artistic merit. Hitchcock's influence has not been confined to the big screen. He was one of the first directors in Hollywood to recognise the significance of television. His Alfred Hitchcock Presents was an early example of appointment to view television, which now dominates the schedules. Many major directors have followed Hitchcock's path into television, including Spielberg, Fincher, Scorsese and Cary Fukunaga, many also using their names to help market the product. At the release of 2012's Hitchcock, we spoke to the film's director Sacha Gervasi about the influence Hitchcock's wife Alma had on Hitchcock's filmmaking. We also spoke with actors Sir Anthony Hopkins and Dame Helen Mirren about portraying 'The Master of Suspense' and his wife in the film.